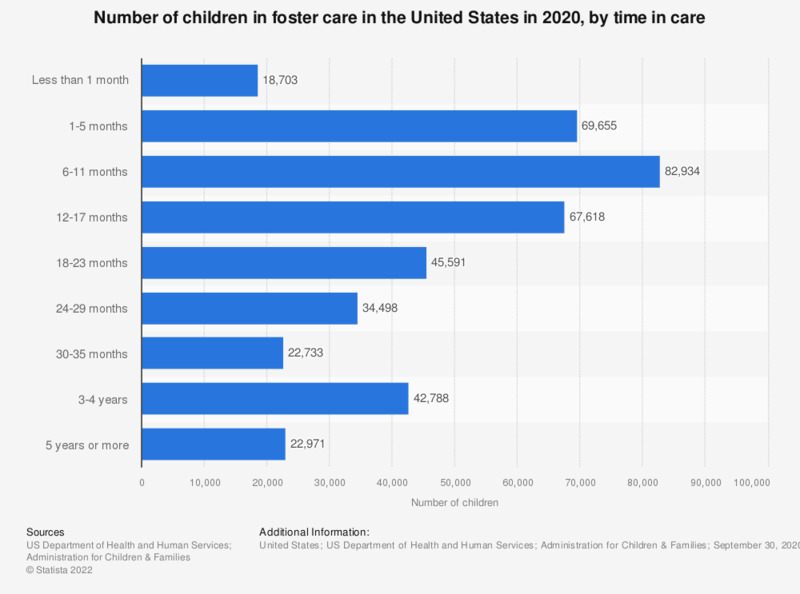 This statistic shows the number of children in foster care in the United States in 2017, by time in care. In 2017, about 24,838 children in foster care were in foster care for 5 years or more. Data as of September 30, 2017.